NEUROSIS begins a new string of North American tour and festival dates beginning this weekend with two headlining shows. 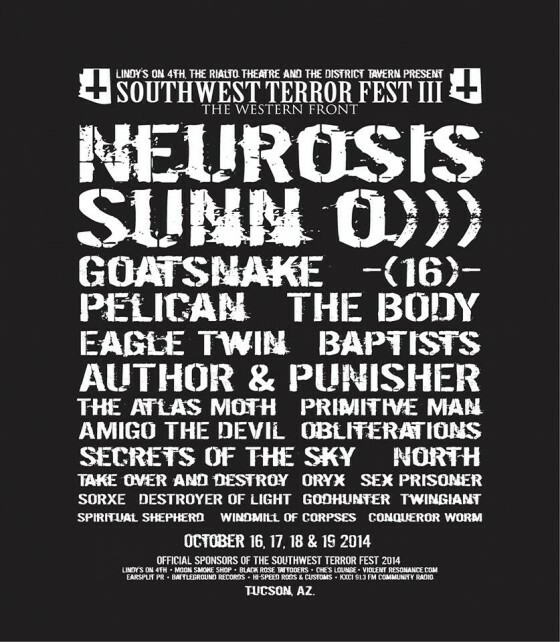 First, the band will perform on the main stage of Southwest Terror Fest III: The Western Front, this Saturday, October 18th in Tucson, Arizona, with support from The Body, Author & Punisher and Sorxe. 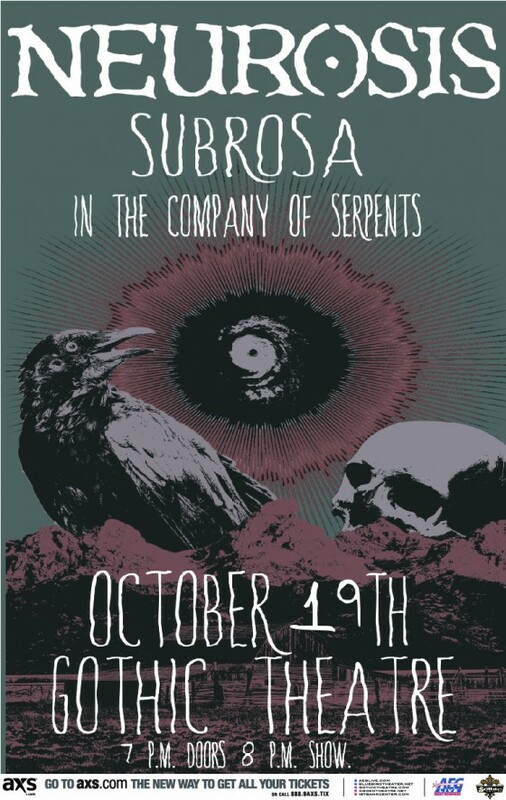 The next evening, October 19th, NEUROSIS will headline a one-off show in Denver, Colorado with Subrosa and In The Company Of Serpents. 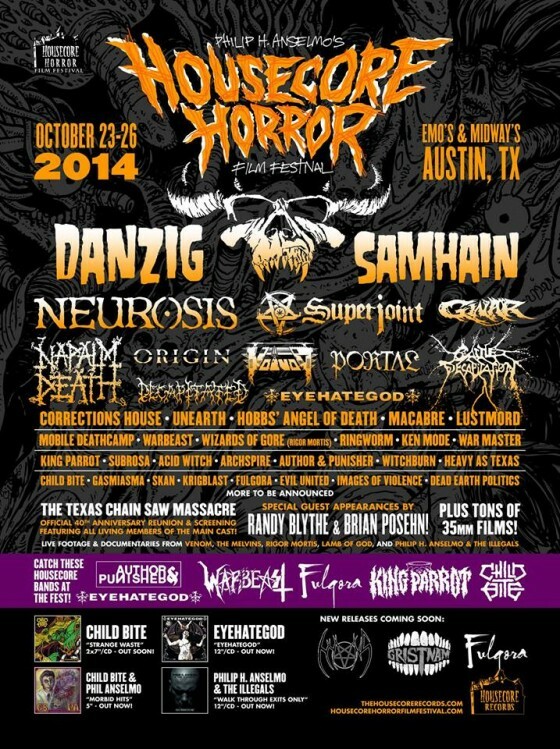 One week later, NEUROSIS will perform at the second Housecore Horror Film Fest in Austin, Texas on Satruday, October 25th alongside Neurot kin, Corrections House, with Voivod, Samhain, Eyehategod, Napalm Death, Cattle Decapitation, Author & Punisher and more also set to play at the gathering. Next month, the second annual Bestia Festival in Mexico City, Mexico, has invited NEUROSIS to take part in their five-day gala, set to run from November 19th to the 23rd, with performances from The Ex, Monogatari, (SIC), Han Bennink, Terrie Ex, Marc Ribot, Ray Anderson, Bob Stewart and others confirmed, in addition to music workshops, film screenings and more will fill the festival grounds. Additional NEUROSIS live sightings will be made in 2015, including the band’s return to Maryland Deathfest in Baltimore alongside fellow Neurot acts Ufomammut and Yob, where NEUROSIS plays on Sunday, May 24th with Amorphis, Anaal Nathrakh, Demilich, Goatsnake, Inverloch, Primordial, Winter, Tombs and more.